Virtually everyone dreams of seeing the Northern Lights—and I was no exception. I could have traveled from my home in Rockport, just north of Boston, to eastern Canada or even Alaska. But it wasn’t just a light show I was after. I wanted to immerse myself in a foreign culture, to hear unfamiliar accents, sample new tastes and savor rare experiences. 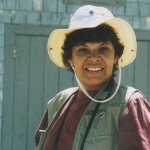 I wanted to enjoy outdoor adventures and cultural activities by day, and hunt the Northern Lights by night. Norway was the ideal choice. Simply put, it’s one of the best spots on earth to see the Northern Lights, that dazzling nighttime show produced when solar winds collide. At the center of the planet’s Northern Lights belt, Norway provides excellent views of the lights from early fall through spring. Low-lying coastline and mountains, dotted with one and two-story buildings, ensure plenty of unobstructed vantage points. The Land of the Vikings offers history and culture, too, along with fresh seafood, meats and produce that chefs transform into innovative, healthy New Nordic Cuisine. If you yearn to explore the great outdoors, Norway is a year-round haven of pristine fjords, lakes and mountains. 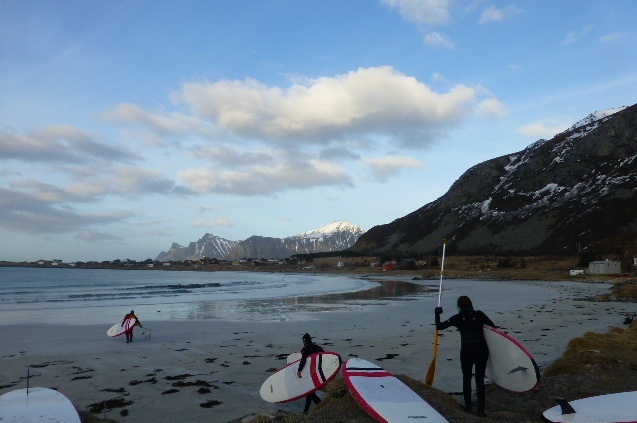 In winter and early spring, when most northerly climes are frigid, Norway is relatively temperate, with ice-free seas and fjords, courtesy of the Gulf Stream. You can enjoy stand-up paddleboarding, kayaking, deep-sea fishing and other watersports, as well as hiking, without courting frostbite. Outside at night, waiting hours for the Northern Lights to appear, you’ll be toasty in just a warm jacket, gloves and hat. Bodø is quickly becoming a major Norwegian cultural center. In November 2014, the contemporary-style Stormen concert hall opened on the town’s windswept quay right next to the Scandic Havet hotel, the town’s newest hotel, with 234 stylish rooms and panoramic floor-to-ceiling windows. Just 20 miles away, at Saltstraumen, the world’s most powerful maelstrom, more than 400 million cubic meters of water rush through a narrow strait between the Saltenfjord and Skjerstadfjord every six hours. Join local outfitter Stella Polaris, and drop into the eye of the maelstrom aboard a rigid-hulled inflatable boat, or RIB. At Kjerringøy Trading Post, an open-air museum 25 miles outside Bodø, learn about 19th-century fishermen and merchants while touring old-fashioned buildings, including a fully stocked general store, a boathouse with weathered fishing skiffs, and a merchant’s residence with hanging oil lamps, burnished period furniture and Oriental rugs. 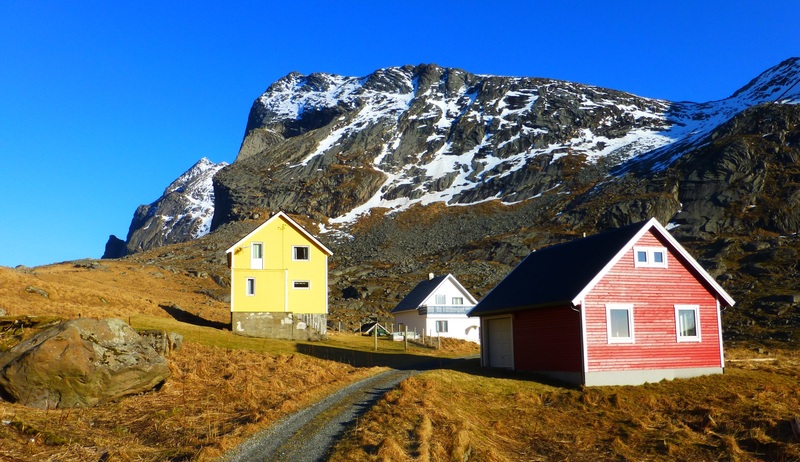 While you’re in North Norway, get up-close and personal with the indigenous Sami people. Once known as “Laplanders,” the Samis have herded reindeer across Scandinavia’s upper reaches for millennia. After a 2 ½-hour drive east of Bodø, I arrived at the foot of Saltfjellet mountain, and spent an unforgettable afternoon with the Oskals, a Sami father and daughter. 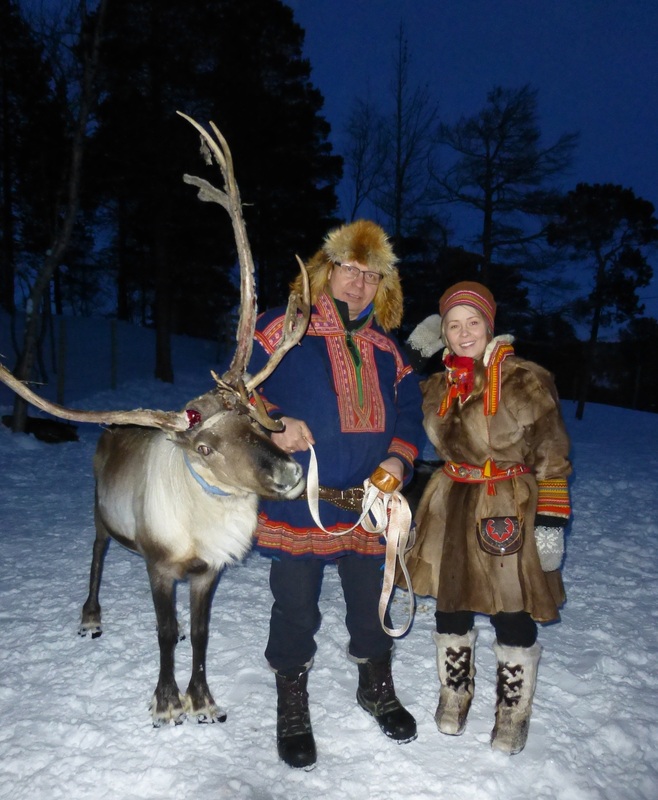 The daughter, a pretty blonde in an embroidered Sami hat, and a reindeer-skin coat and boots, opened one enclosure, and dozens of gentle reindeer swarmed around us, nudging us with their fur-covered antlers as we fed them handfuls of lichen. Around a blazing campfire in the snow, we drank coffee as the daughter sang a haunting, high-pitched joik, a traditional Sami folk song, about the joys of raising a son. I wished I had arranged beforehand to join the entire family for a traditional Sami dinner in their tepee-like lavvu. But, back on the highway, another adventure beckoned—crossing the 66th parallel, the invisible line marking the Arctic Circle. After a Champagne toast in a snow-covered field, I and several other travelers drove to the nearby Saltfjellet Hotell Polarsirkelen, a sprawling complex of red-and-white wood-frame buildings. Clean and comfortable, the lodge’s guest rooms are pretty bare-bones, but the long candlelit dining room is elegantly rustic with deer antlers and black-and-white photos adorning the walls. After dining on grilled salmon, roast filet of moose, and fresh cream with golden cloudberries, several of us headed out into the crisp night air. Far from big cities, with distracting neon and fluorescent signs, we stood patiently for about an hour, hoping to glimpse the Northern Lights. But only a star-filled sky returned our gaze. With only two nights left to see the Northern Lights…the hunt was on. At nearby Lønsdal Station the next morning, I caught the sleek modern train, known as the Polarexpress, for the 90-minute trip through snow-covered mountains to Bodø. Then I hopped a Widerøe propeller plane for the 25-minute flight to the Lofoten Islands. Off the coast of North Norway and above the Arctic Circle, these idyllic isles, with white-sand beaches, impossibly blue waters and snow-capped mountains, were recently named one of the world’s three most beautiful archipelagoes by National Geographic. The Lofoten Islands also have been major cod-fishing grounds for generations. Driving around the islands, you’ll see the shriveled, yellowing carcasses of codfish drying on hundreds of wooden racks before being exported around the world for bacalao and other dishes. You’ll also see rorbuer where fishermen once holed up for weeks. Perched on stilts over the water, many of the red-and-white cottages have been restored as guesthouses. 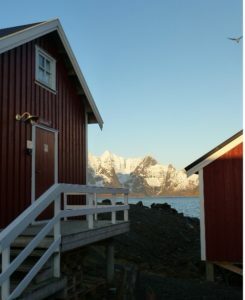 At Eliassen Rorbuer in Hamnøy, my cozy cottage was the essence of rustic luxury with three log-paneled bedrooms (including a loft bedroom), a log-paneled living room with a couch, dining table and fully stocked kitchenette, a modern bath, and a waterside deck for watching the Northern Lights at night. By day, I frolicked in the countryside and along the coast. Along the white sands of Ramberg Beach, I joined Lofoten Adventure Company—a casual, family-run outfit that also operates surfing and kayaking trips—for stand-up paddleboarding. Suited up in black wetsuits, a small group and I got 10 minutes of instruction on how to stand on the boards and glide forward using long paddles. Then, for the next couple of hours, we were out on the bay, rising and falling in the warm gentle waters until the waves carried us back to shore. Another day, rough seas scuttled my four-hour North Sea fishing expedition for cod, wolffish and halibut aboard Aqua Lofoten Coast Adventure’s 70-foot fishing boat, Trio II. So I drove to Svolvær, suited up in a bulky one-piece dry suit and joined Lofoten Explorer for a high-speed RIB “safari” through the narrow, granite-walled Trollfjord, where brown-and-white sea eagles with eight-foot wingspans wheel overhead. On yet another perfect spring day that felt like summer, I hiked to a mountaintop high above sandy Bunes Beach. There were cultural outings, too. In the tiny village of Å, I toured the Norwegian Fishing Village Museum, a complex of 19th-century buildings with a working bakery, a boathouse with period fishing boats, and an early cod-liver oil manufactory. Another day, driving through the countryside, I happened upon the little red-and-white Flakstad Church. Sporting an unusual Russian-style onion dome, it was built by 18th-century Norwegian parishioners who bartered dried cod for Russian timbers. At the Sund Fisheries Museum, I pored over a quirky collection of working boat motors, music boxes and other oddities, then watched the eccentric smithy forge whimsical sculptures of fishermen and cormorants that are on display in the Pentagon, the Kremlin and the Norwegian royal palace. After long days in the fresh air, a hearty dinner was always welcome. 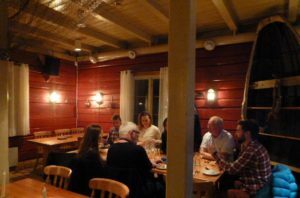 At Hamnøy Mat & Vinbu, with its red-painted log walls, I sat at a long wooden table, and shared reindeer and cod with guests from virtually every corner of Europe—a lively young Russian, a chic Italian, a witty German and a courtly Frenchman. In Reine Rorbuer’s wood-paneled Restaurant Gammelbua, I sampled skrei, spawning cod that travels south, each spring, to the Lofoten Islands from Norway’s northernmost reaches near Russia. Mildly flavored, skrei is considered a delicacy, especially served the traditional way, alongside its own oil-saturated liver. After dinner, we guests at Eliassen Rorbuer would gather outside, on waterfront decks or along the fjord, hoping to catch a glimpse of the Northern Lights. And every night, the skies remained dark and inscrutable. On the last of my four nights in North Norway, a large group of us gathered for a final vigil. Though half-convinced that the Northern Lights were really just a clever marketing ploy, we were determined to make the best of it. Standing outside for a couple of hours, we laughed, and chatted convivially in various languages, as someone passed around a bottle of Aquavit. Just after midnight, when we had given up the hunt and begun to drift back to our cabins, someone shouted, “There they are!” Streaks of green light arched high above the fjord and mountains. Elsewhere in the sky, a broad green curtain of light began swaying rhythmically in a weird, otherworldly dance. Over the marina, high above the masts of sailboats, reddish streaks painted the night sky. For more than an hour, we stood mesmerized, watching the Northern lights perform. Talk to anyone who has seen the Northern Lights, and you will hear different stories about where they were at the time, how often the lights appeared, what colors they were, how long they lasted. 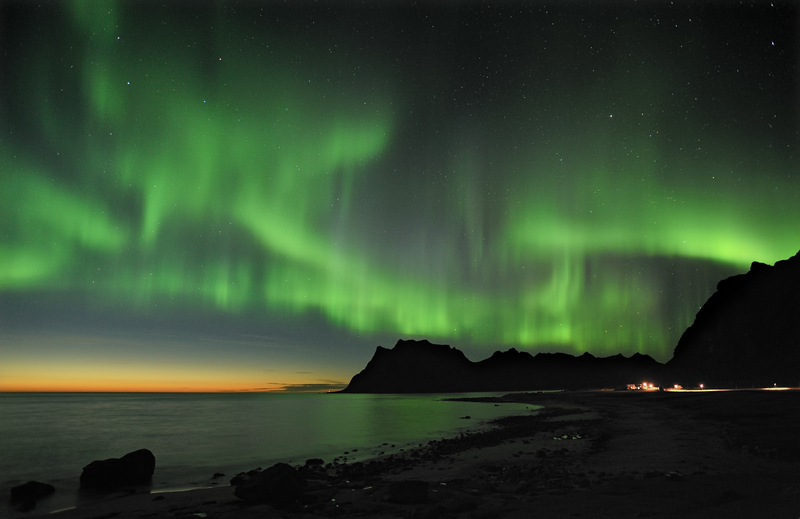 Talk to me, and you’ll hear about a strange, singular night when, just as I thought all was lost, the lights suddenly appeared, and put on one of the most brilliant, colorful and longest shows ever seen in that neck of North Norway. It truly was a once-in-a-lifetime experience—and a dazzling reminder to all explorers and would-be explorers to never, ever, give up. For flights, contact Norwegian (www.norwegian.com), SAS (www.flysas.com) and Widerøe (www.wideroe.no). For more information, visit www.northernnorway.com and www.visitnorway.com.